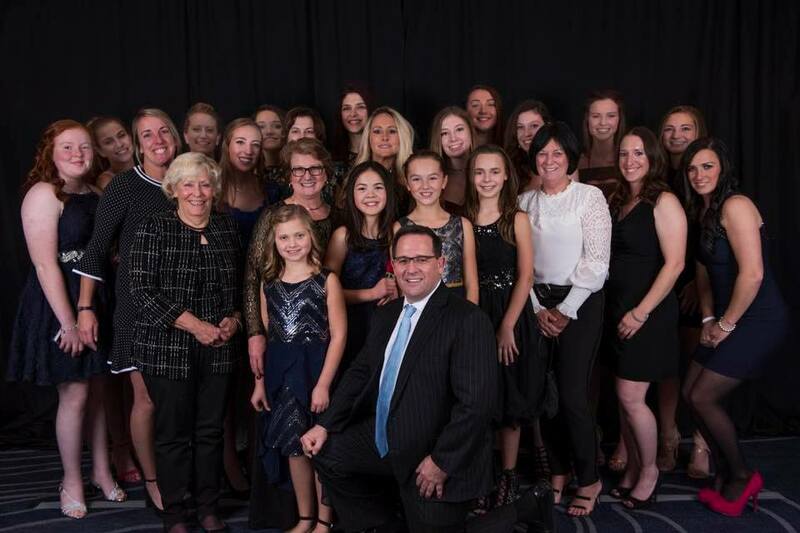 Streamwood, IL – January 9, 2018 – Perfecta Farm, located in Streamwood, Illinois, took home a boatload of awards from the Illinois Hunter Jumper Association (IHJA) Awards Gala after wrapping up the 2017 show season. 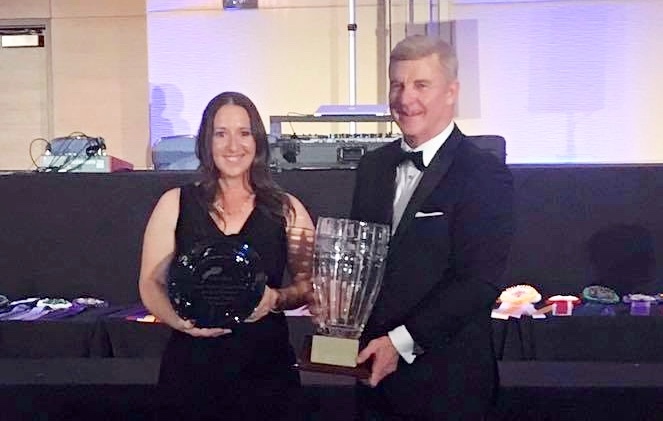 Trainers Kim Gardiner, Mara Kranz-Olseng and Carmine D’Aversa lead the Perfecta Farm team to numerous year- end prizes on both the National level A circuit and the local B circuit. The farm runs riding programs for all levels and ages of riders, building horsemanship skills that riders often take with them through college and beyond, while offering a great family and social environment. Celia Bresch was awarded the Junior Sportsmanship Award and the Junior Jumper Championship. Special awards are earned and presented to the highest scoring horse and rider combinations throughout the season. 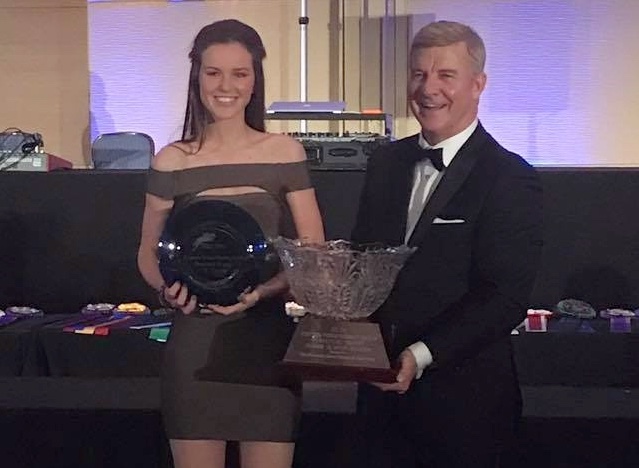 Celia Bresch, 17, of Barrington Hills, earned the Captain Video/Market Rules Perpetual Trophy with her mount, Zalicia, as the highest scoring Junior Jumper combination. Bresch also took home the Junior Sportsmanship Award. 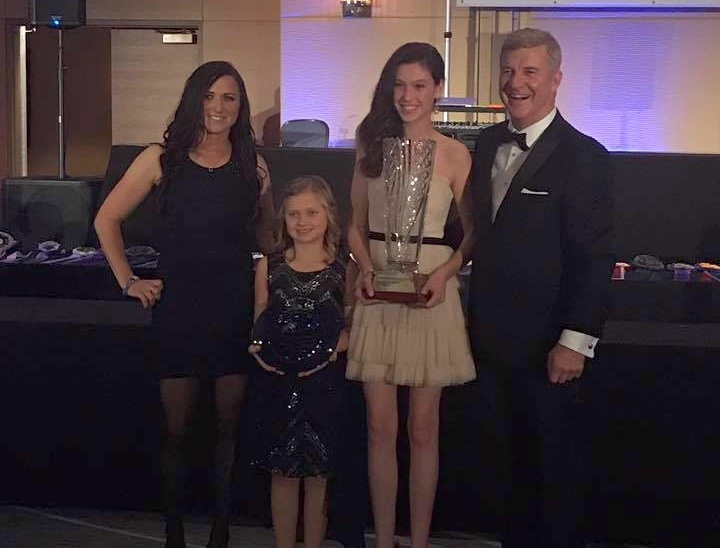 Younger sister, Maggie, 14, claimed the award for the Children’s Grand Hunter Champion with Anne Donovan’s horse, Cullen. Donovan also collected the George Z and Magda Lefton Perpetual Trophy for Cullen’s huge success in the hunter divisions. 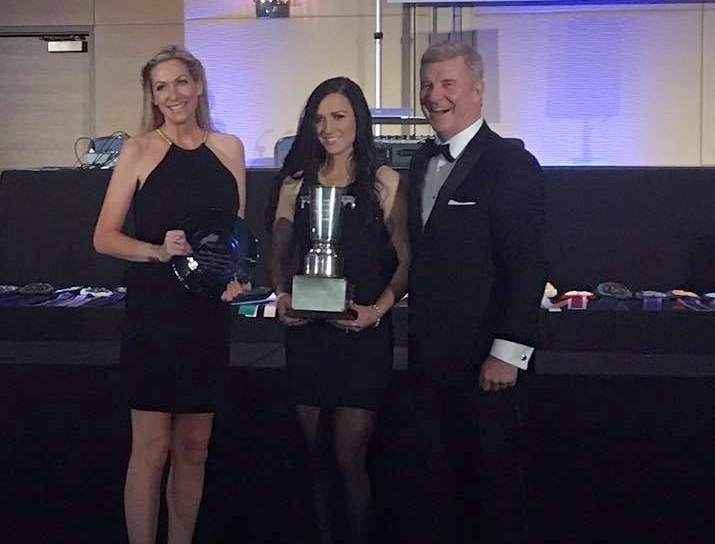 Maggie Bresch along with trainer Mara Kranz-Olseng (left) and Addyson Hanson, accept the Children's Grand Hunter Championship from Steve Foran. 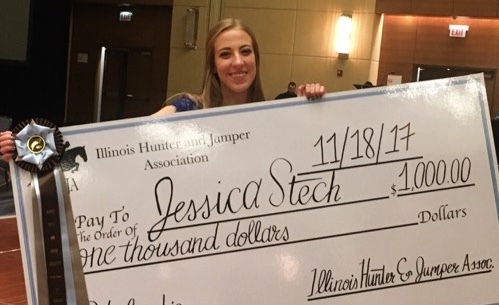 Jessica Stech won the $1,000 Scholarship. 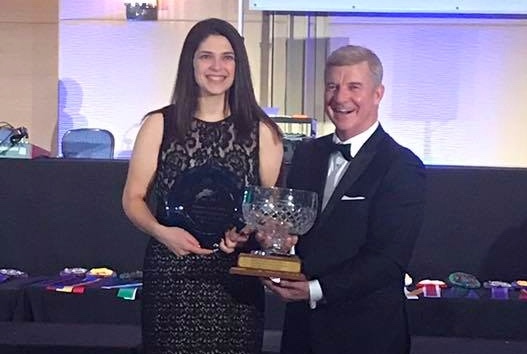 Jessica Stech, 18, Naperville, received a very special award, earning a $1,000 scholarship for college to study architecture and historical preservation. Erica Levinsky collected the Amateur Adult Grand Hunter Championship for Fendi WF from Steve Foran. Carmine D'Aversa accepts the Grand Hunter Championship for Cassandra and Perfecta Farm. On the local B Circuit, special awards went to Cassandro, owned by Perfecta Farm, who was named Grand Hunter Champion while Erica Levinsky of Chicago, rode Fendi WF to win the Amateur Adult Grand Hunter Championship. Colleen Johnson’s Tortuga earned a special award for the Non-Thoroughbred Hunter Championship and Charlotte Bertoglio rode her way to the Short Stirrup High Point Rider. Colleen Johnson and Mara Kranz-Olseng took home the Non-Thoroughbred Hunter Championship. The following riders earned the most points on the National A circuit in their division for the season to clinch Championship titles. Maggie Bresch - Children's Working Hunter 14 & Under Champion with Cullen. Claire Stockard - Children's Working Hunter 15-17 Champion with Coltrane Soul. Anne Donovan - Non-Thoroughbred Working Hunter Champion with Cullen. Celia Bresch – Junior Jumper Champion with Zalicia. Celia Bresch - Equitation 15-17 Champion. Steve LaPorta - Schooling Jumper Champion with Antalya. Maggie Bresch - Low Children's Jumper Reserve Champion on Keepen Posted. Maggie Bresch - Equitation 12-14 Champion. Juliana Gullo - Equitation 12-14 Reserve Champion. Hayley Anderson - Children's Medal Final Reserve Champion. Erica Levinsky - Amateur Adult Hunter - Fendi WF. Bertoglio Family - Baby Green Hunter – Willow. Perfecta Farm - Green Working Hunter – Cassandro. Colleen Johnson - Low Working Hunter – Tortuga. Andrea Simko - Modified Children's Hunter - High Note. Colleen Johnson - Non-TB Hunter – Tortuga. Jan Barlow - Novice Adult Hunter – Mandalay. Perfecta Farm - Novice Children's Hunter - All In. Erica Levinsky - Performance Working Hunter - Fendi WF. Perfecta Farm - Pre Green Hunter – Vincenzo. Bertoglio Family - Schooling Hunter – Willow. Jan Barlow - Schooling Hunter 2' – Mandalay. Kendall Johnson - Short Stirrup Hunter – Snickerbear. Andrea Pileggi - Puddle Jumpers - Fast Track. Andrea Pileggi - Adult Equitation. Charlotte Bertoglio - Short Stirrup Equitation. Natalie Bertoglio - Children's Mini Medal Final. Perfecta Farm - Amateur Adult Hunter – Vincenzo. Erica Levinsky - Amateur Owner Hunter - Fendi WF. Perfecta Farm - Baby Green Hunter – Vincenzo. Bertoglio Family - Beginner Children's Hunter – Frontier. Lynnie Barlow - Limit Children's Hunter – Mandalay. ​Tegan Waltmire - Long Stirrup Hunter Adult – Kobalt. Tegan Waltmire - Low Working Hunter – Kobalt. Perfecta Farm - Non TB Hunter – Cassandro. ​Brooke Tegtmeyer Pony Hunter - See You Again. Bertoglio Family - Schooling Hunter – Frontier. Brooke Tegtmeyer - Schooling Hunter 2' – Blue. ​Bertoglio Family - Short Stirrup Hunter - A Certain Charm. Erica Levinsky - Adult Equitation. Natalie Bertoglio - Beginner Children's Equitation. Andrea Simko - Equitation 14 & Under. Charlotte Bertoglio - Limit Equitation. Tegan Waltmire - Long Stirrup Adult Equitation. Andrea Simko - Open Jr Equitation 17 & Under. Andrea Pileggi - Adult Medal Finals. Jan Barlow - Adult Mini Medal Finals. 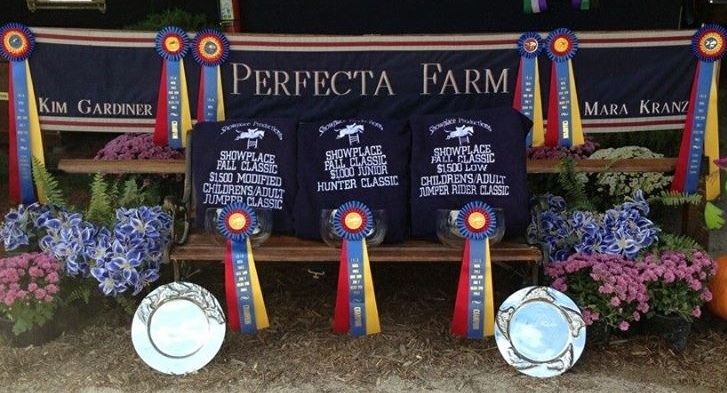 College riders who previously trained at Perfecta Farm continue to have great success in the show ring. 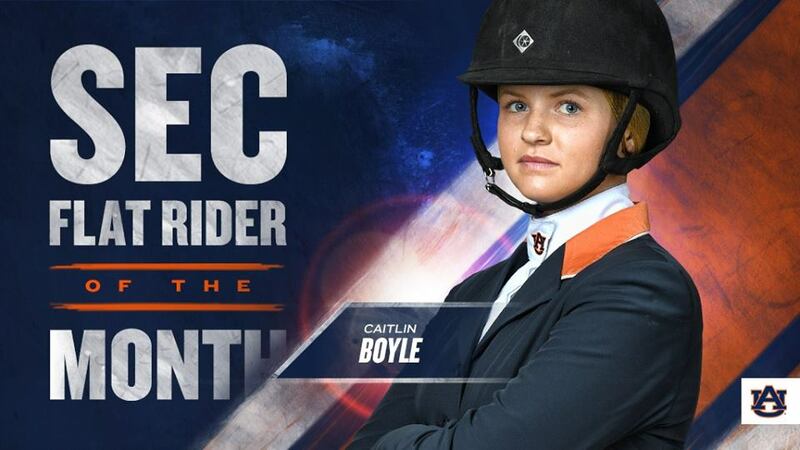 Caitlin Boyle of Hampshire, a Junior at Auburn University, was recently honored as Most Outstanding Performer and named the Southeastern Conference Flat Rider of the Month for November, her second title of her college career. 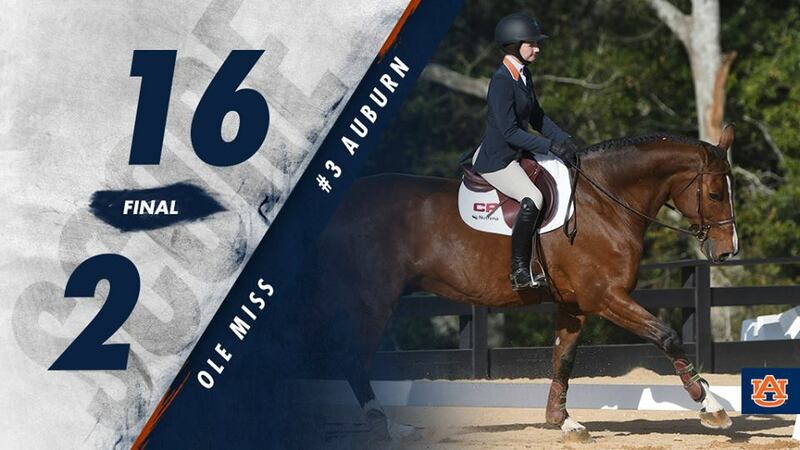 Becky Kozma of Streamwood and an Auburn Sophomore, earned the Most Outstanding Performer honors in October during the Southeastern Conference NCAA competitions. In addition to these champions, Perfecta Farm congratulates all their riders earning top 10 honors for the 2017 season. The entire team looks forward to the 2018 show season as more of their riders move up the ranks. To join the Perfecta Farm team, contact them by phone at 630-289-8488 or by email pfarm199@aol.com. Save the date for their annual Perfecta Farm B Show to benefit charities August 2-5, 2018 at Ledges Sporting Horses.